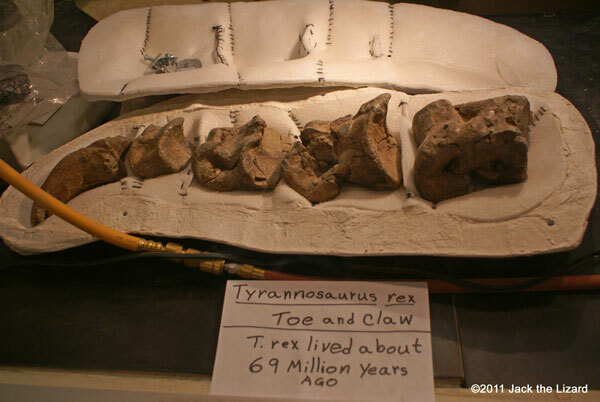 Every fossil is very precious thing in which lives of ancient animals are recorded. The complete specimen of a Dinosaur is even rarer, because it is exceptional event that the body of dead dinosaur turns to be fossilized. For example, after a tyrannosaurs died, its body must be free from scavenger because some carnivorous dinosaurs could take a part of body to somewhere else. Soft parts of the body are probably gone not long after death, but bones keep their shape because phosphates in bones do not decay. Then the body should be buried quickly by natural phenomena such as floods, landslide and volcanic eruption. The remains are also needed to be undisturbed from geologic distortion such as fold and fault. Those pressures from surrounding rocks could crush bones and damage inside of the bone tissues. In sediment final process of fossilization, called “petrification” occurs. First mineral- rich ground water sinks into the bones. Minerals preserve cellular structure of bones during this process. Then minerals gradually fill up hollow space of bones and remaining organ tissues until completely minerals replace all bone material. Finally bones become heavy solid rocks. At this stage fossilized bones have more chance to endure for millions of years in strata. Fossils resurface on the ground through weathering and erosion. 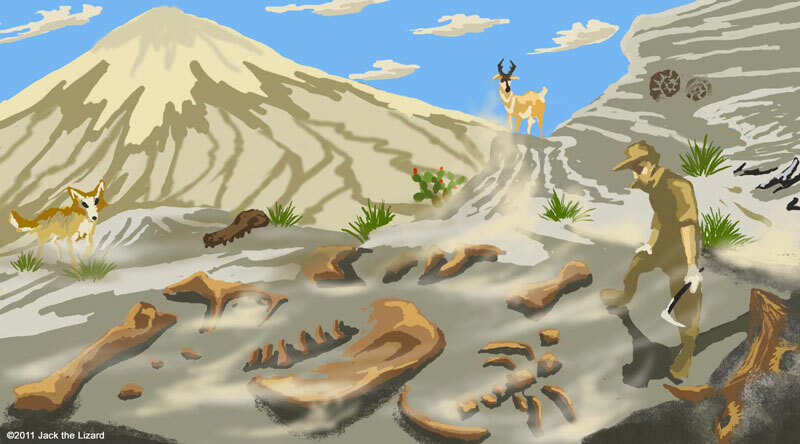 For this reason fossils are often found in badland and desert. Also you can find fossils along river banks and sea cliffs. The strata with fossils must to be exposed on those places to find them. If fossils of other animals such as reptiles and amphibians are found with those of a dinosaur, they will tell about the environment in which the dinosaur lived. 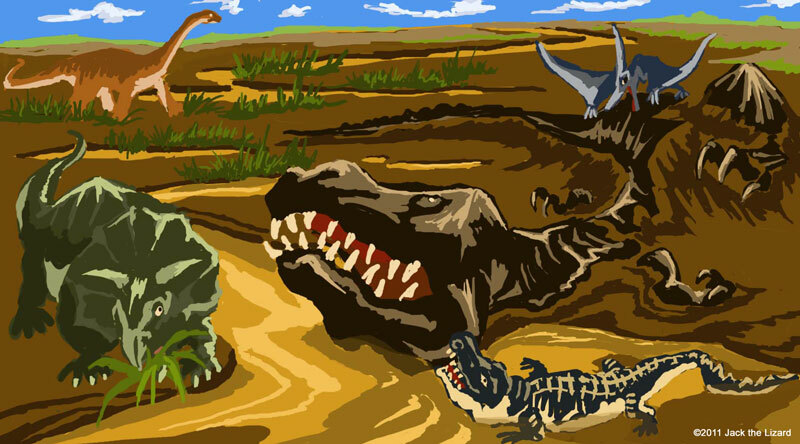 Additionally the position of a dinosaur may reveal how that dinosaur died. So it is very important to keep all the information on the site of a dinosaur found.